Uber is a transportation network that operates in over 60 countries around the world and has more than 20,000 employees globally. Founded with a mission to allow people to push a button and get a ride, the company has grown into a transportation platform moving people and goods forward in the world. I had no way of predicting the media storm in 2017 when I joined Uber back in 2015, but looking back I realize that year was the most significant of my career. Being on the other side of it now and having moved on from Uber, I can say my most significant development and learnings as a people professional came at Uber. The lesson I won't forget, and that I carry with me daily in my role at Divvy, is how a seemingly simple act of articulating company values impacts business growth and revenue as well as customer and employee sentiment. Casey Bailey is Vice President of People and Places at Divvy, Inc., leading Divvy’s human resources, recruiting, workplace, and diversity and inclusion teams. Casey joined Divvy from Uber, where she was most recently Head of HR Business Partnerships for the North American ridesharing business and Global Uber Eats. Casey spent three years at Uber in senior roles leading cross functional People teams in support of the hyper growth business. Before joining Uber, Casey held human resources roles at RetailMeNot and Backcountry.com, and spent eleven years in human resources and benefits consulting with a boutique firm based in Dallas, Texas. 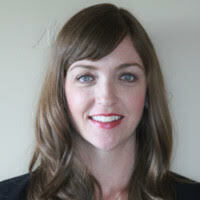 Casey has a BS in corporate communication studies from the University of Texas at Austin. She currently resides in Park City, Utah with her husband and three children.